Olympic host cities in the past have struggled, and some have failed, to establish a meaningful function for the infrastructure after the Games. The concept of legacy planning for global mega-events & venues, and even other build environments, is of paramount importance – to ensure sustainability and economic growth for the host cities, and beyond. All eyes on the upcoming 2020 Olympics where Tokyo stands host to, we discuss the pitfalls of previous host cities’ post-games infrastructural planning, and the shining example of London’s 2012.
Notable Olympic host cities’ failures were Moscow, Beijing to an extent, and probably the most prominent, Athens. Large investments were injected to create showpieces for the duration of the Games, but ended up as eyesores thereafter. The infrastructure fell into total disrepair and became derelict. This stemmed from a lack of vision for the long-term functioning of space and its components. The vision was short-sighted and ad hoc at best, and meant only for the successful hosting of the Games. The Athens Games has come to represent this failure. Twenty-one of the 22 venues were abandoned after the Games concluded, lying as derelicts overrun with rubbish and weeds. The tales of empty, forlorn and rundown infrastructure are well documented. These abandoned venues represent the desire to showcase grandeur with no consideration for a post-Games use. The result is these massive structures lying idle and bleeding the economy. 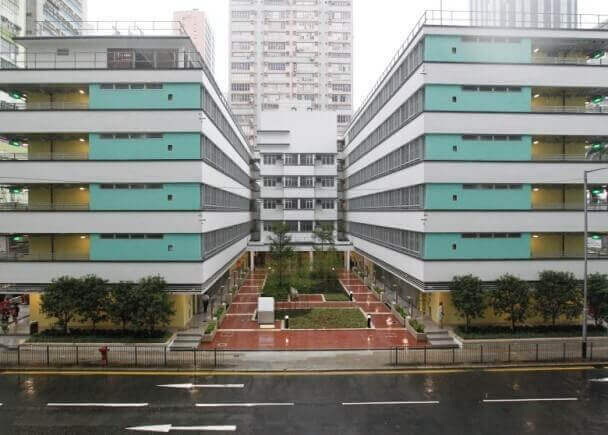 The Chai Wan Factory (built in 1959), was converted into a public rental housing called Wah Ha Estate in 2015. This redevelopment project now houses about 200 families. Such retro-fitting not only involves revision to the spatial layout, but also installing required infrastructure to meet the latest health and safety regulations (especially those pertaining to fire safety and sanitation). The building is also graded by the AAB (Antiquities Advisory Board) as Grade 2 Historic Building. Chai Wan Factory Estate re-furbished as a public housing estate. With the fear of post-Games deterioration looming, London began with caution from the onset in 2005. Their solution lay in identifying, delineating and planning for the Games Mode, as well as Legacy Mode. 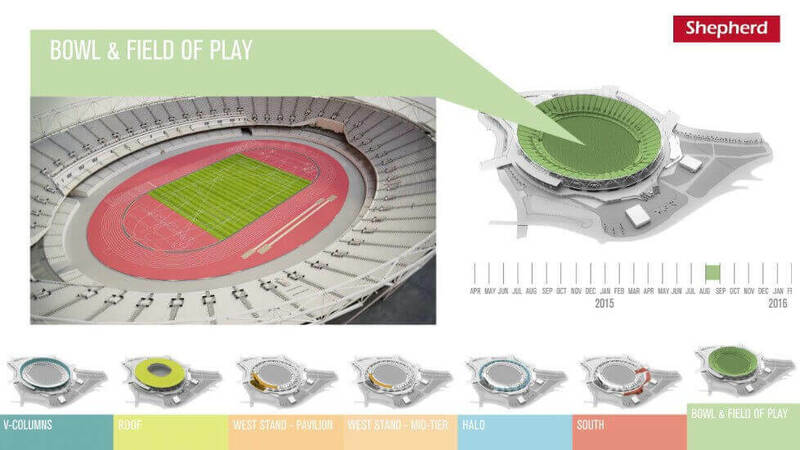 The legacy planning intended infrastructure to provide use and function for a separate set of users after the Games. The challenge was to allow a smooth transition from the former to the latter, and to plan and build to cater to the needs of each mode without surplus in either. The dichotomy of planning every infrastructure in two modes was established. This translated to a concept of segregating the way the infrastructure is built for what would be needed for the present, vis-à-vis that for the future. Features that would remain and be used beyond the Games were to be built as permanent structures, while other surplus structures catering only to the Games would be of temporary nature and be removed, thus avoiding waste and redundancy. the south zone has the Aquatic Centre (reorganised for schools, the community, and elite athletes, with a reduced capacity), the Olympic Stadium with a reduced capacity (to bring the lucrative Premier League football to the park), high rise housing, and a 55-acre landscaping project by James Corner. To realise the Legacy Mode, the built structures were purpose-built for transformation. This enabled the structures to either be scaled down or disassembled completely, allowing them to be stored for reuse later. 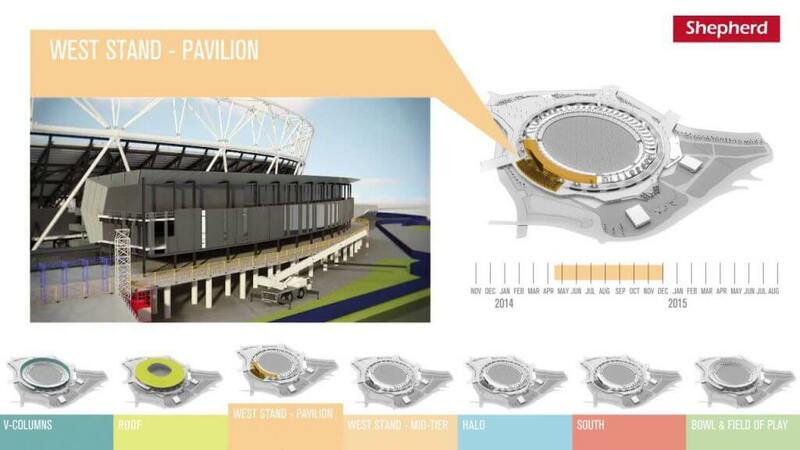 The London Games ventured to build facilities with energy-efficient, sustainable, and recyclable designs, to reduce the energy and water demands, and keep the Games clean and green. The London Legacy Development Corporation (LLDC) began working right after the Games to bring life and fervour back to the Queen Elizabeth Olympic Park. The intended transformations of the venues, scaling down or disassembling, took time. “The sight of cranes and construction works across the site was necessary to reach the Legacy Mode”, said Dennis Hone, Chief Executive of the LLDC. It is important to phase different transformational activities so that the site does not lose the interest and vibrancy of the Games. Keeping the site void of activities other than construction for too long would make it an economic black hole. In April 2014, LLDC reopened the parklands in the north zone and James Corner’s urban park in the south to entice people to return. The Aquatic Centre has been scaled down after the removal of its wings. It now functions as a swimming centre for the community at large. However, not everything went to plan. The greatest challenges have been economic ones relating to ownership and conflicts of interests. These have resulted in unintended design changes, construction cost overruns, and delays. The prominent example of this has been the Olympic Stadium. The Legacy master plan intended its capacity to be reduced from 80,000 to 25,000, keeping it as an athletics stadium, which was needed in the city. However, for economic sustenance, ownership had to be leased. After six years of tussle, a Premier League football club—West Ham United—has been given a 99-year lease. 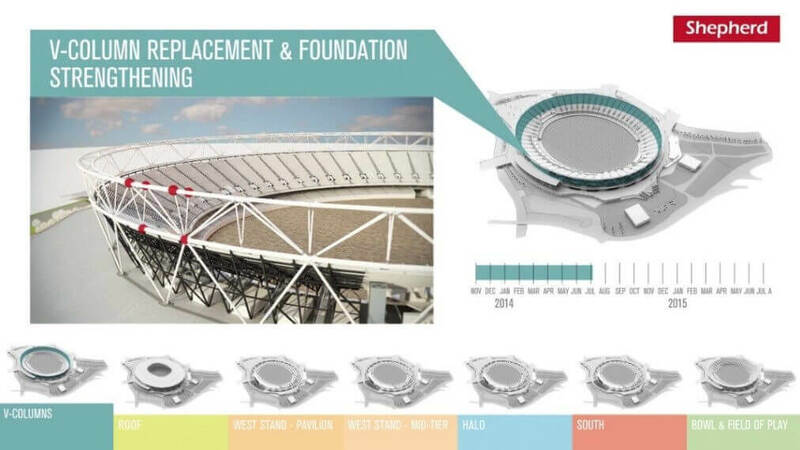 But this comes with several changes to the Legacy plan for the stadium—it is no longer an athletic facility, but a prime Premier League stadium. The capacity was increased to 54,000. 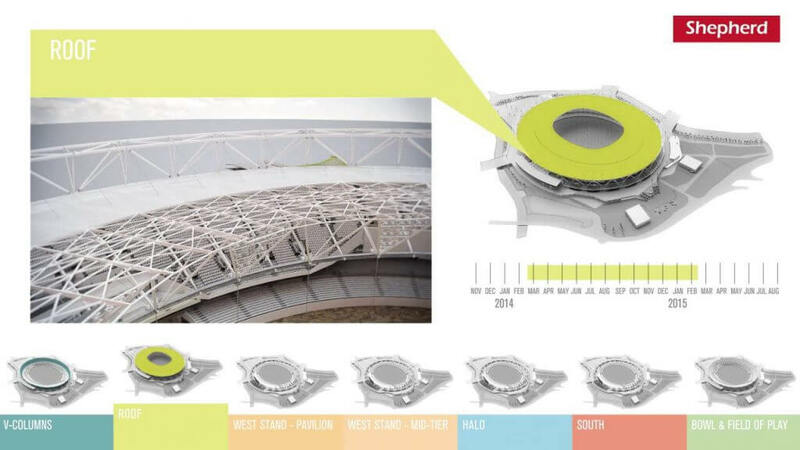 The stadium will have a new roof; the entire pitch was rebuilt with the requirements of a football ground; and a 1,000-capacity car park added. Despite these challenges, the Legacy Plan is scheduled to be completed by 2030. The people of the neighbouring boroughs acknowledge that the investments in the park have enhanced one of the most neglected and derelict parts of London. The space and the venues continue to garner the enthusiasm of visitors. More than the physical infrastructure, longevity has been about the community. The London Olympic stadium during the 2012 Games versus The Olympic stadium now refurbished as a Football Stadium. 2016, Rio – So, What Went Wrong? The London Games have successfully demonstrated a different paradigm with structures that could be transformed, scaled down, disassembled, and stored, looking past the two-to-three-week extravaganza to what is needed for the community and the city for years to come. The Rio Olympics in Brazil in 2016 had incorporated several of these ideas to develop their infrastructure in their particular context. One example was the Handball Arena – named the Future Arena (Portuguese: Arena do Futuro), which was designed to be disassembled after the Games and reassembled as four schools serving the community. As of August 2017, these plans have however been abandoned by Rio’s mayor Marcelo Crivella. They had also planned for the Games Mode distinctly from the Legacy Mode, and phased out the entire development with an intermediate phase of seven years to transition from the Games to the Legacy Mode. Mis-management of the projects’ planning and implementation led to major budget over-runs. The consequent economic strains led to ad hoc fixes which defeated the ideas for the Legacy phase. 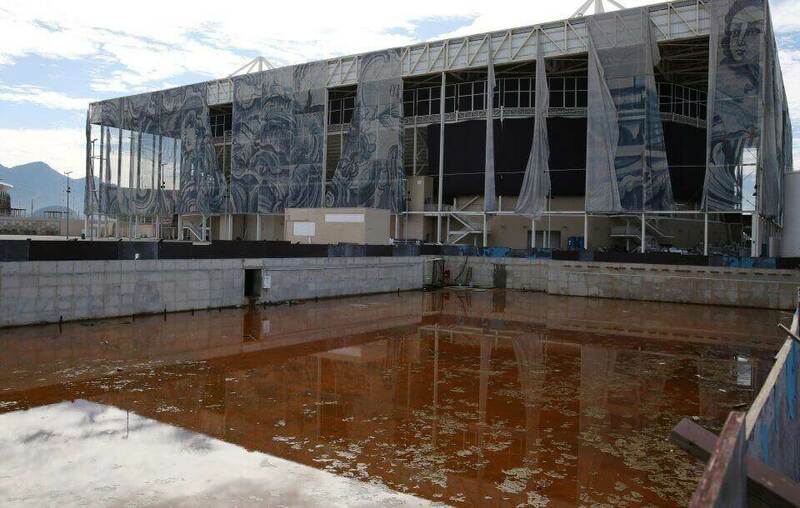 The iconic Maracana stadium could no longer be operated due to budget deficits, and it was looted and vandalized; while the ambitious waste-treatment facilities never materialised and Rio continues to languish as it did before the Games. Judo will return to Nippon Budokan. Tokyo also plans to revitalize its waterfront by siting the Olympic village there. However, Tokyo is still grappling with time and cost as work surges ahead to open the Games in 2020. In the context of hosting events of this scale, and with a magnitude of cost and high-density urban projects, it makes sense that scalability and temporality are addressed in the early part of planning. At the same time, sound political will and temperament is required to realize the plans, without which they risk falling apart as seen in Athens and Rio. Here, it is not about the permanency of static physical elements that ensures a structure’s longevity. Urban planners will also need to consider the flexibility of structural conversion in our design and built environment – and success lies in anticipating the versatility of change. It is also about putting into place ideas that create lasting value for the community. Perspectives, developed by SJ Academy, is our platform to explore new ways of tackling some of today’s most complex challenges. We draw on ideas and opinions from our staff associates and experts across different businesses. Click here to read more about Technology & Innovation, Infrastructure & Connectivity, and Design Leadership.